We check out the latest in galleries, shopping and eating to delight the whole family at this enclave. 47 Malan Rd, #01-21/22/23, tel: 6262-0750. Open Tues to Sun, 10am to 6pm. Designed for kids aged one to 12 years old, this Reggio Emilia style play-museum is a first for Singapore. All visitors – big and small – are encouraged to look, listen, touch, explore and engage with the exhibits within the welcoming, experiential space. Watch bees at work, create an ant hotel with clay or build a cave with the friendly facilitators. There’s a whole host of recycled and natural materials for creating mini masterpieces and many have been donated by local businesses in partnership with Playeum. Need another reason to visit this multi-sensory, creative play centre? It’s also a non-profit kid’s charity, with all entrance fees ($20 for children aged 1 to 12; free for adults) going back to underprivileged children. 47 Malan Rd, #01-26. Open Tues to Sun, 12pm to 6pm. Husband and wife design team, Edwin and Meiling Low of Supermama are well known in the Singapore art scene for their passion for contemporary local arts and crafts. Launching their original store in Seah Street in 2011, Supermama quickly gained a reputation for partnering with traditional artisans and studios to collect and create true works of art. The team collaborates with local and international illustrators, craftsmen, design agencies and artists to design and make stunning, individual pieces. We are mad about their Singapore Icons collection, featuring local landmarks and cityscapes upon high quality porcelain plates. Looking for a special gift or a uniquely ‘Singapore’ style souvenir? We’re happy to let you know that your search is over. You’re welcome. 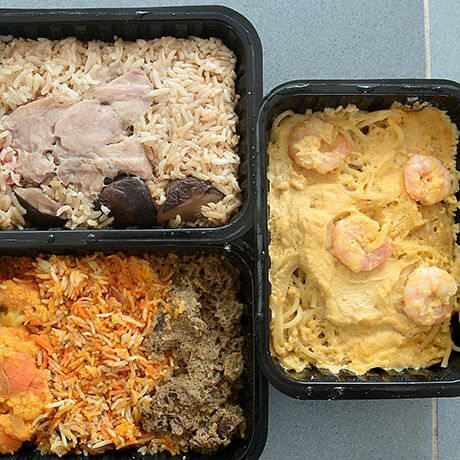 45 Malan Rd (Next to CCA Exhibition Centre), tel: 6334-5734. Open Tue to Sun, 11am to 6pm. Overlooking the lush gardens of Gillman Barracks, this cafe has a relaxed, ‘thank god it’s Friday’ vibe, even on a Tuesday. The Red Baron kitchen pumps out a steady stream of solid brunch favourites and crowd pleasers with a fresh local twist. Try the Garlic Butter Prawn Pasta with Chilli Padi ($14) or the Red Baron’s signature dish, the Quinoa Goreng ($16) that is cooked with red quinoa, prawns, chicken and ikan bilis then topped with a sunny-side up egg. The kids aren’t forgotten here either. Just opposite Playeum, this café keeps tiny tummies happy with dishes like The Kid’s Brekkie ($9) with egg, mini chicken sausages and toast, plus Babycino for sophisticated little ones. The Red Baron is a big supporter of fresh, local food too. Check out their Facebook page for an update of their next monthly farmer’s market. 5 Lock Road #01-06, tel: 6871-8753. Open Tues to Sat 11am to 7pm; Sun 11am to 6pm. 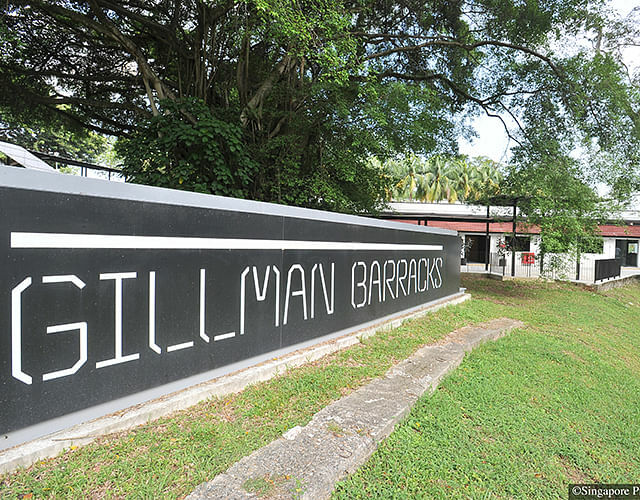 Opened in June 2016, the newest Gillman gallery joins a host of curated art spaces at the Barracks to further cement the area as a true creative hub. Sullivan+Strumpf arrives to the arts enclave in Singapore via Sydney, where they have developed a strong reputation for showing edgy, thought provoking pieces. Founders Ursula Sullivan and Joanna Strumpf are well known in the Aussie art scene, having launched their Sydney Gallery over a decade ago. Exhibiting bold, contemporary works from prominent and emerging Australian and New Zealand artists, the styles on show in their Singapore space range from painting, photography to mixed media and sculpture. Prices start at around $2,000. 5A Lock Road, tel: 6262-1087. Open Tue to Thur & Sun, 12pm to 10pm; Fri & Sat, 12pm to 11pm. 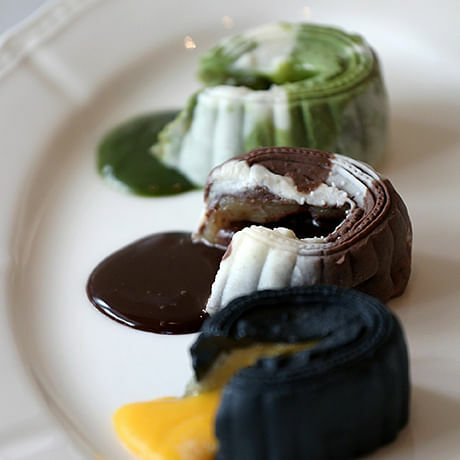 Handmade in-house (they have a kitchen out the back), the frozen desserts created by Creamier are simply droolworthy. The newest artisanal ice creamery on the block boasts so many OMG flavours, we recommend heading here with a crowd so you can try them all. Strap your tastebuds in for complex, zesty offerings such as Earl Grey Lavender, Macadamia Tropicana and Pomegranate Yoghurt. Best scoop of the house? Our vote goes to the Sea Salt Gula Melaka. Don’t miss this beautifully balanced sweet and savoury deliciousness created using pure palm sugar and sea salt hand harvested from England. Creamier’s single scoops are $3.30 or make it a double for just $5.60. Psst – they do take home pints too.